A Filipino Dad's Blog - Daddy duties, Doodle anything under the sun, Doo everything from scratch. Summer time is spending more time with my kids and having fun activities that we both enjoy. Even more special is experiencing something for the first time. 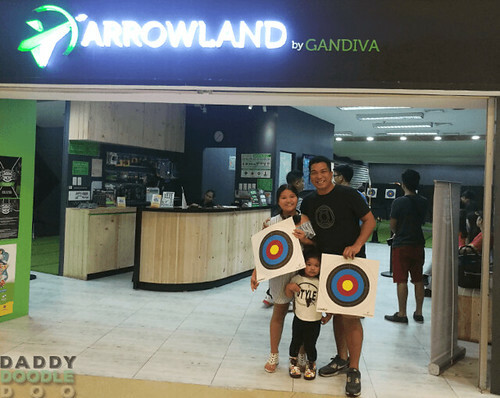 Last Sunday we have stumble upon Arrowland by Gandiva inside SM North EDSA Annex. 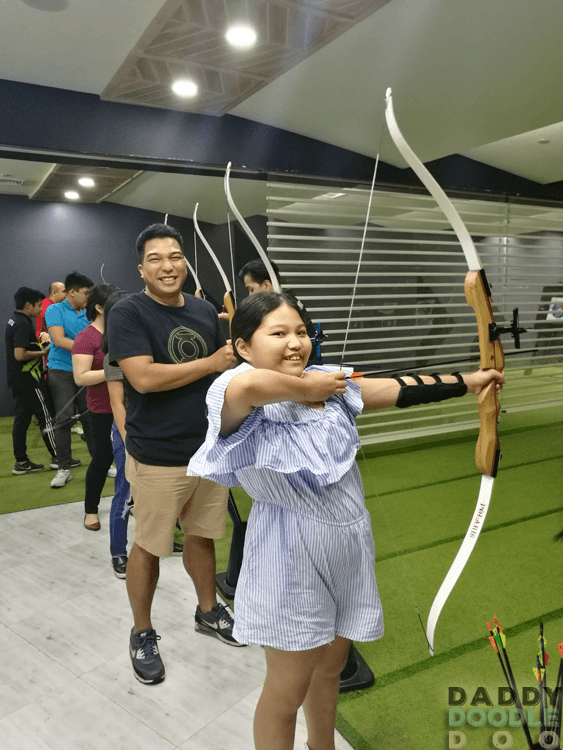 it is an Indoor archery range that brings archery to people without any experience with archery. 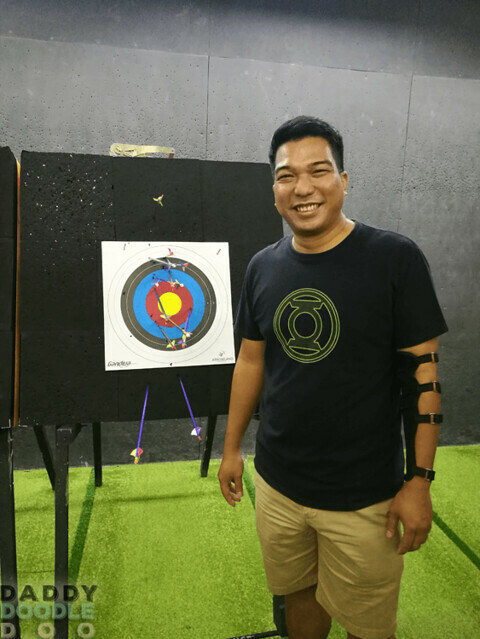 Arrowland wants to encourage everyone to try archery as a fun activity with family or friends. My eldest daughter Ykaie did not hesitate to ask me if we could try it. How could I say no? It is a perfect opportunity to bond with her. Arrowland SM North EDSA has limited lanes so we waited for others to finish but the wait was not that long. And if you’re one who does not want to wait, you can leave your number at the nice lady at the counter and she will send you a message if it’s near your turn at the range. The price is worth the experience. It already includes a common target paper that they allow their customer to use but of course you could not take it home with you to hang it on your wall for bragging rights. 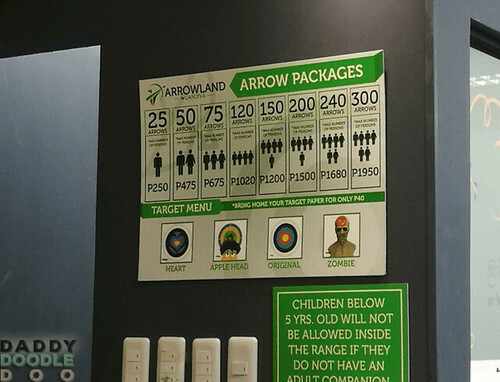 You need to pay an additional 40 pesos for your own target paper. Packages are flexible depending on the number of persons in your group. 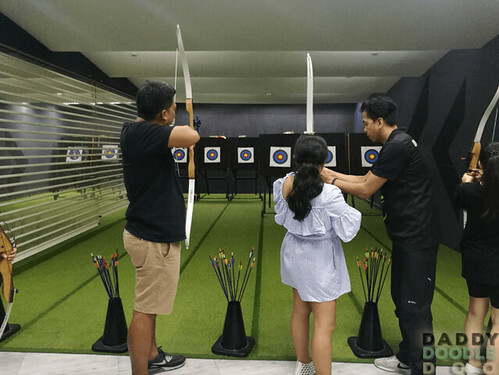 They have this package that’s targeted for family and friends who are looking for a fun activity while inside the mall different from the usual like watching a movie, eating or even bowling. The instructors are very friendly they only ask that you follow what they say and no dry firing. If you do not have any experience in Archery do not worry the instructor is always there observing each archer to correct them to have the perfect form. Don’t worry about your kids. It’s a safe activity for them. There were kids even smaller than Purple handling the bow like a pro. If you wanted to learn more, they also offer tutorial session as well. For kids, the instructor moves the target a little closer. Purple was having a hard time at the beginning but after 1 or 2 arrows she was feeling it already. 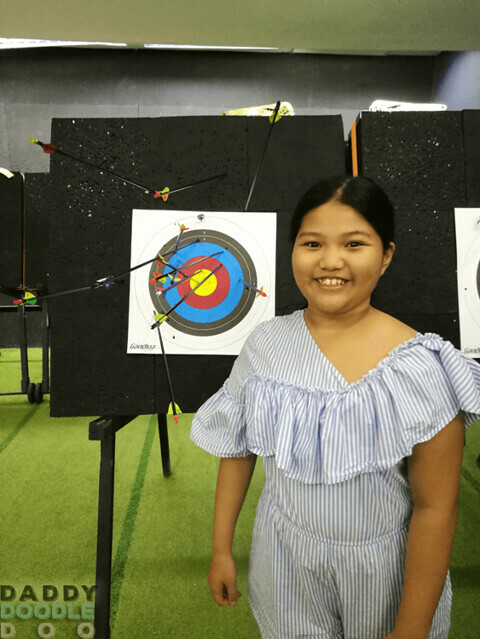 Heck, she even hit the target’s bullseye probably she got it from watching Brave and Hunger Games. We had a great time and a memorable experience something different from your everyday mall day. Parking Spaces in Ortigas : Between Amethyst St. and Pearl Dr.